Kensington Publishing Corporation, 9781516108039, 206pp. There's a lot of noir surrounding this rare pinot. As the vineyards in Seneca Lake, New York, prepare for the seasonal "Deck the Halls Around the Lake" festivities, someone is determined to keep pinot noir off the wine list. Hijacked trucks and sabotaged ingredients have made it a hard-to-acquire vintage for the six local wineries-including Norrie Ellington's Two Witches Winery. The case of the stolen and spoiled wines gets stranger when Arnold Mowen, owner of the company distributing the wine, is found dead, the apparent victim of a hunting accident. 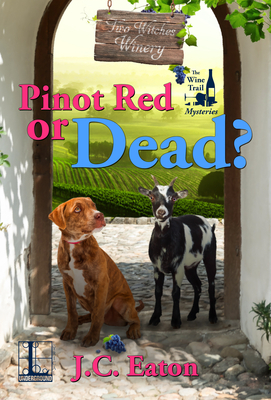 As Norrie tries to find the connections between the pinot's problems and Arnold's death, she uncovers a conspiracy among many locals whose hatred for the wine distributor was bottled up for far too long. . .